The transfer window for Europe's biggest clubs is open again. Transfer Talk has been scouring the world's media and setting our correspondents loose to see who could be heading to or from your club this month. Arsenal have stepped up their transfer activity as the January deadline approaches, with Belgium international Yannick Carrasco now a serious target for the Gunners, according to Sky Sports. With a loan move for Barcelona playmaker Denis Suarez already in the works, Arsenal have opened talks with Carrasco to boost their attacking options after Inter Milan blocked their attempt to sign Croatia international Ivan Perisic. Carrasco has been at Chinese Super League club Dalian Yifang since February 2018, though that did not stop him being selected for Belgium's World Cup squad that summer. The versatile former Monaco and Atletico Madrid player is able to play as a wide forward, behind the striker or as a wing-back. 23.02 GMT: That's going to bring Wednesday's live edition of Transfer Talk to a close. Thanks very much for joining us, and be sure to check back in just a few short hours when we return with the latest and greatest stories from Thursday's back pages, as we count down to tomorrow's transfer deadline. 22.39 GMT: Even though his contract will expire at the end of the season, Wilfried Bony is on the verge of leaving Swansea on a six-month loan at Qatari side Al Arabi, according to Sky Sports. 22.16 GMT: Crystal Palace are in the market for a striker, and the Mirror reports that the South London club have identified £7m-rated David Okereke of Italian second-division side Spezia as the man to fit the bill. 21.53 GMT -- DONE DEAL: The New England Revolution have confirmed the signing of 26-year-old midfielder Carles Gil from Deportivo La Coruna on a designated player contract. 21.30 GMT: Boca Juniors midfielder Wilson Barrios is edging towards a move to Zenit Saint Petersburg, reports Gianluca Di Marzio. 21.07 GMT: Amid interest from West Ham over a loan deal, Everton are now speaking with Chelsea about a permanent deal for Michy Batshuayi that would set the Toffees back £35m, according to the Guardian. 20.44 GMT: Arsenal are waiting to see how Paris Saint-Germain's pursuit of Everton midfielder Idrissa Gueye shakes out, and should PSG not offer Christopher Nkunku to the Toffees as a makeweight, the Gunners could make a move for the 21-year-old midfielder, according to the Mirror. 20.21 GMT: Real Betis are on the verge of signing West Ham forward Lucas Perez on a permanent deal for £3.5m, Sky Sports reports. 19.58 GMT -- DONE DEAL: Mexico international Miguel Layun has signed for Liga MX side Monterrey, despite having only spent six months at Villarreal. Read the full story. 19.35 GMT: The exodus of talented young Brits leaving for Germany shows no sign of slowing down! The Independent is reporting that Arsenal's 18-year-old midfielder Emile Smith Rowe will join RB Leipzig on loan for the remainder of the season, with assurances of first-team involvement with the club sitting fourth in the Bundesliga. 19.12 GMT: Reece Oxford hasn't featured for West Ham since October 2016, but that hasn't stopped the Hammers from rejecting a loan offer for the 20-year-old defender from Dutch outfit Heerenveen, writes Sky Sports. 18.49 GMT: Monaco are in advanced talks with Tottenham about a loan deal for Georges-Kevin Nkoudou, sources have told ESPN FC. 18.26 GMT: With Neymar sidelined for the next 10 weeks, Paris Saint-Germain are seeking to bolster their attack, and German publication Suddeutsche Zeitung reports that the Parisian club reached out to Arsenal outcast Mesut Ozil about a loan to Parc des Princes -- an overture the Germany international rejected. The report states that James Rodriguez is another attacker who could interest PSG, but his status on loan at Bayern Munich from Real Madrid could make any deal complicated to complete with the transfer deadline looming in less than 30 hours. 18.03 GMT: The Mirror is reporting that Chelsea would allow centre-back Andreas Christensen to leave the club on loan, so long as they receive a £6m fee for their troubles. Juventus and Borussia Dortmund are reportedly interested in the 22-year-old Dane. 17.40 GMT: The chances of former Manchester United midfielder Nani coming to MLS are "50-50," a league source has told ESPN FC. 17.17 GMT -- DONE DEAL: Arsenal have completed the signing of Barcelona midfielder Denis Suarez on loan until the end of the season. Read the full story. 16.54 GMT -- DONE DEAL: Schalke have confirmed the signing of 18-year-old Manchester City starlet Rabbi Matondo. 16.27 GMT: West Ham are the latest club to be linked with an enquiry about the availability of Chelsea striker Olivier Giroud, according to the Mail, although Maurizio Sarri reportedly would prefer the Frenchman to remain at Stamford Bridge. 15.46 GMT: Tottenham manager Mauricio Pochettino has told ESPN FC he is interested in managing a Major League Soccer side in the future. 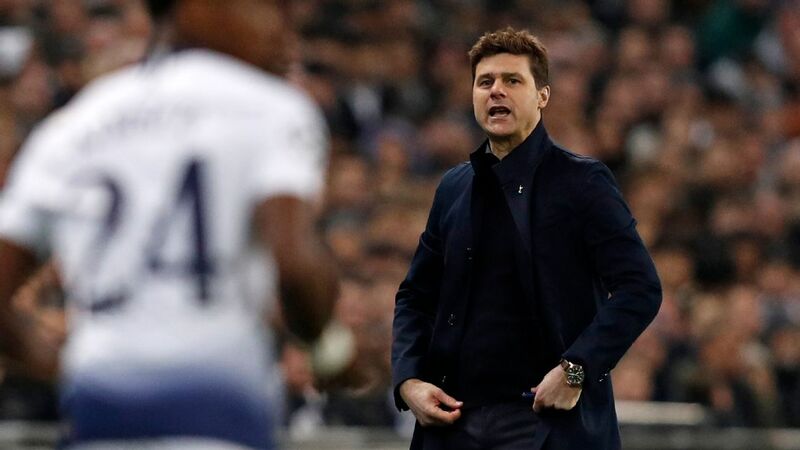 Pochettino has taken charge of International Champions Cup matches in Orlando, New Jersey, Nashville, San Diego, Pasadena and Minnesota in the last 18 months, and his Spurs side won the 2018 edition of the summer tournament. Sitting down to speak exclusively to ESPN FC, Pochettino was asked if he can see himself managing on the other side of the Atlantic, and he replied: "Yes why not? 15.30 GMT: Carles Gil is set to undergo his medical ahead of a move to New England Revolution from Deportivo -- the fee is around €1.5m. 14.55 GMT: Chelsea are struggling to offload fringe players Danny Drinkwater and Gary Cahill ahead of Thursday's transfer deadline, a source close to the situation has told ESPN FC. Cahill, the club captain, has a range of offers from abroad but a source has said the centre-back's wage demands will have to be lowered in order for him to find a move. Chelsea, meanwhile, are struggling to find a buyer for midfielder Drinkwater. The pair have fallen out of favour under Maurizio Sarri but Chelsea remain hopeful they could be moved out of the club on transfer deadline day. 14.29 GMT: ​Inter Milan's sporting director Beppe Marotta has reiterated that the Nerazzurri will not be held to ransom by Arsenal over Ivan Perisic​.. The Croatian winger has informed the Serie A club of his desire to leave this winter and the Gunners are reported to be keen on him. However, Marotta said at the weekend that he would only be able to sanction a deal 'if the price is right', and he has reaffirmed the Italian club's stance with just over 24 hours to go before the transfer window shuts. 14.15 GMT: ​Real Madrid may have ruled out a transfer in this window (see below) but sources have told ESPN that the Spanish giants have joined the chase to sign Eintracht Frankfurt striker Luka Jovic ​in the summer. The 21-year-old has found the net 18 times in 25 appearances since joining Frankfurt on loan from Benfica at the start of this season, sparking interest from other top clubs like Barcelona and Bayern Munich. 13.40 GMT: Real Madrid coach Santi Solari has pretty much confirmed that the European champions will not sign any players this month now that the club's injury issues -- including club captain Sergio Ramos and goalkeeper Keylor Navas -- have subsided. "We have a marvellous squad, we will fight on all fronts we have open," he said. "We are good, looking forward excitedly to each game. The most important news these days is that our players are getting back fit." 12.55 GMT: ​The Daily Mail are reporting that ​Peter Crouch ​could be set to return to the Premier League with Burnley. This would be his sixth Premier League club in a colourful career which has seen the tall striker notch 108 goals in the top flight. 12.37 GMT: ​Sources have told ESPN that Manchester United forward Anthony Martial​ is very close to signing a new five-year deal. This would represent a massive u-turn for the Frenchman who had previously rejected a series of offers from the club. ​12.10 GMT: DONE DEAL! ​Rangers have completed the signing of United States international midfielder and right-back, Matt Polster​.He will join from MLS club Chicago Fire on a two-and-a-half-year deal. ​11.59 GMT: Sampdoria have agreed a deal with Juventus to complete the permanent signing of goalkeeper Emil Audero, who has also been linked with Arsenal, in the summer. 11.50 GMT: Julian Weigl claims he is now back full commitment with Borussia Dortmund after a move to PSG failed to materialise in the transfer window. 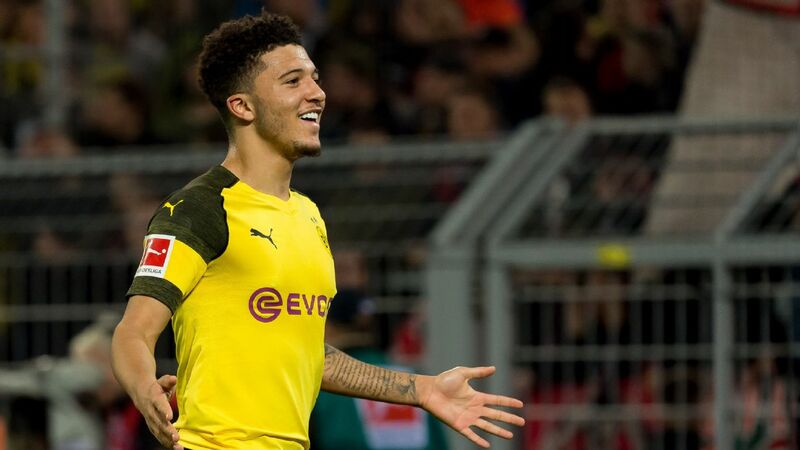 He told Sport Bild: "When PSG showed their interest in me, I was obviously thinking about my future...I shared these thoughts with Dortmund, but I had to accept that the officials did not want to let me go. Now my goal is to succeed with Dortmund and I feel much better." 11.40 GMT: Lyon president Jean-Michel Aulas has revealed he is considering the possibility of a summer move for unsettled Chelsea striker Olivier Giroud. 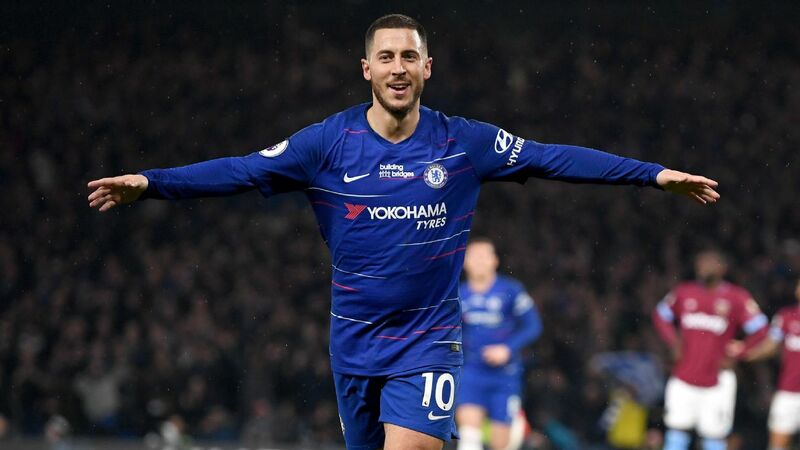 Giroud told ESPN FC earlier this month that he has found it "difficult" to accept not being Maurizio Sarri's first-choice striker at Chelsea this season, with Eden Hazard often deployed as a false nine by the Italian in the first half of the campaign. Chelsea have an option to extend Giroud's current contract -- which expires at the end of the season -- for a further year, but the France international told Canal Football Club that Gonzalo Higuain's arrival on loan from Juventus in January has left his prospects of staying at Stamford Bridge "bleaker" than before. "I dreamed of having him come last summer and I even called Arsene Wenger for more information," Aulas said of Giroud in an interview with French newspaper Le Figaro. "Gerard Houllier knows him well, too. "We had discussed it when I was in Moscow with the France national team during the World Cup. Things could not be done from his side, though. 11.10 GMT: Japan international Shinji Kagawa could finally get his move away from Borussia Dortmund, with Ligue 1 strugglers AS Monaco close to striking a loan deal for the former Manchester United man. Unable to win minutes under current Dortmund coach Lucien Favre, Kagawa had hoped to make La Liga his last stop in his European career, but, at least for the next four months, the 29-year-old could now be headed to the French Riviera instead, according to Sky Deutschland. 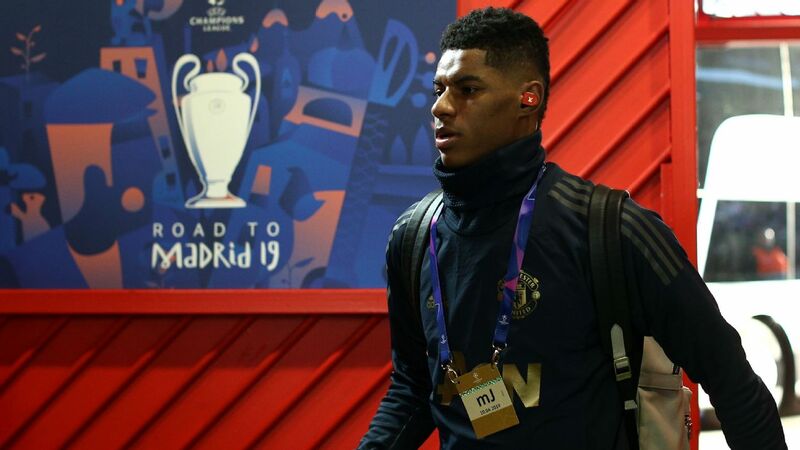 10.30 GMT: ​The agent of PSG midfielder, ​Christopher Nkunu ​has aired his frustration as delays persist with a potential move to Arsenal for the 21 year old midfielder. Speaking to Canal + Sport Direct, Jose Pierre-Fanfan said: "Arsenal really are interested in him, but talks are complicated. Arsenal are restricted -- they cannot buy somebody mid-season." 10.00 GMT: It has been a transfer that has been bubbling along, but it seems like Arsenal might finally land their man after Barcelona softened their stance on Denis Suarez's potential departure, according to the Independent. Suarez was first linked with a reunion with Unai Emery, whom he worked with at Sevilla, back in December, but a lack of funds meant the Gunners were interested in only a loan deal for the former Manchester City midfielder, with the option to buy him in the summer, while Barcelona favoured a permanent switch. Complicating matters, Sevilla swooped in with their own interest in buying Suarez outright. With Los Rojiblancos willing to depart with the cash now, Arsenal looked like they were set to miss out on one of their main transfer targets. But it appears that a solution has been found, with the 25-year-old willing to extend his contract at Barca a further year to 2021 to protect his sell-on value when he is expected to move on permanently in the summer. 09.45 GMT: DONE DEAL! Premier League relegation strugglers Huddersfield Town have signed striker Karlan Grant from League One club Charlton Athletic. Grant, 21, joins the Terriers on a contract until 2022, moving for an undisclosed fee. He has scored 14 goals in 29 games for Charlton this season -- can he help fire Huddersfield to top-flight safety? 09.30 GMT: Tottenham may be short of attacking players through injury at the moment, but it looks like they are still happy to offload striker Vincent Janssen. Sky Sports report that La Liga club Real Betis have made an approach for the Dutch striker, who is valued at around £15m despite only scoring only six goals in 39 appearances for Spurs. 09.10 GMT: Real Madrid winger Vinicius Jr says he would like to one day play with his idol, Neymar. Paris Saint-Germain striker Neymar has been linked with a move to the Bernabeu for almost as long as he has been at the French club. Speaking to Brazilian outlet Esporte Interativo, Brazilian teenager Vinicius Jr said of his compatriot: "I want to play next to Neymar, who is my idol. "He's someone I've been watching since I was little, and since he started at Santos, I have followed him closely. I have a great admiration for him, and he knows it." 08.40 GMT: DONE DEAL! Sandro Wagner has left Bayern Munich to join Chinese Super League club Tianjin Teda. 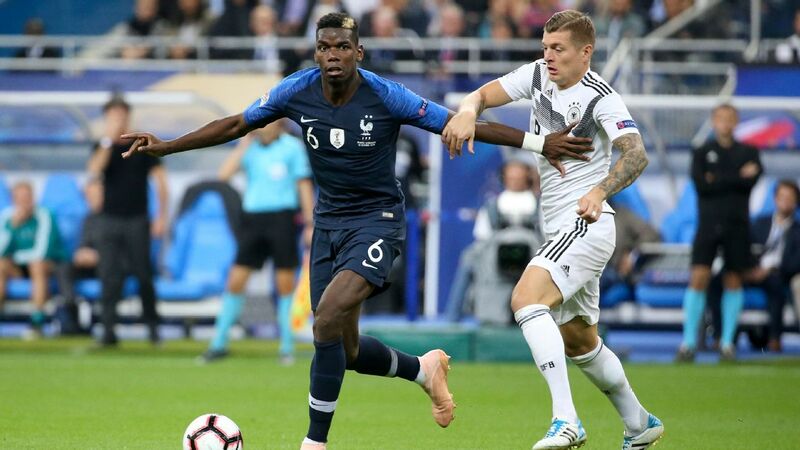 The 31-year-old forward lost his place on the Bayern bench in recent weeks and is looking to cash in on his brilliant Germany international record of five goals in just eight matches. "We wish him all the best for his future in China," Bayern sporting director Hasan Salihamidzic said. 08.05 GMT: Barcelona left-back Jordi Alba has agreed a new contract at the club after months of negotiations, according to Cadena SER. The Spain international, whose contract expires in June 2020, had declared on several occasions his wish to continue at the club. But that did not stop him being linked with clubs such as Manchester United and Juventus. The 29-year-old said in a recent interview with Sport when asked if he was optimistic about a contract renewal: "Yes, of course. It's obvious that my dream is to stay at Barcelona. It's cost too much to get here to then have to leave. I have my family here, their support, the fans and my teammates. I don't think I'd be happier anywhere else." Alba has agreed to extend his contract until June 2024 and according to Cadena Ser, the deal will be announced after the end of the transfer window. It looks as though Youri Tielemans is heading to Leicester City, but that hasn't stopped Mauricio Pochettino from considering a late bid, according to the i. Reports from France on Tuesday afternoon suggested that Tielemans was set to travel to Leicester to conclude a loan switch, with Adrien Silva heading to Monaco in the opposite direction. 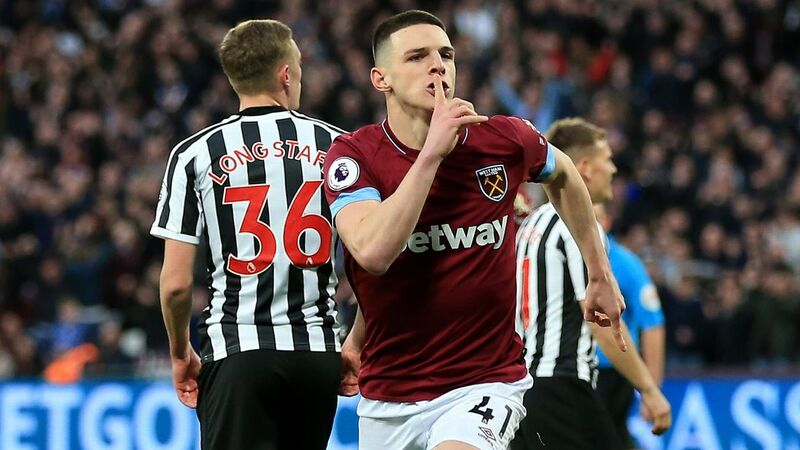 But the i's back page claims that Tottenham are weighing making a late offer, and there have been reports elsewhere that claimed Arsenal, Newcastle and West Ham are also keen on the 21-year-old. The Belgium international was deemed one of Europe's most highly rated talents as recently as the summer, but he has struggled since his move to Monaco, who have found themselves in an unexpected relegation battle this season and recently sacked Thierry Henry as manager just months after appointing him. Arsenal's dominance of Transfer Talk continues, as it looks as though they might miss out on talented youngster Christopher Nkunku, at least for now, following his agent's comments to Canal+ show Late Football Club. Arsenal are keen to secure the 21-year-old's services on loan, and the midfielder's agent, Jose-Pierre Fanfan, has confirmed that talks are ongoing between them and Paris-Saint Germain. But the Gunners' situation has been described as "difficult" by Fanfan -- which is likely referring to their being reluctant to make permanent transfers this month -- and he has acknowledged that a potential switch in January is looking increasingly unlikely. 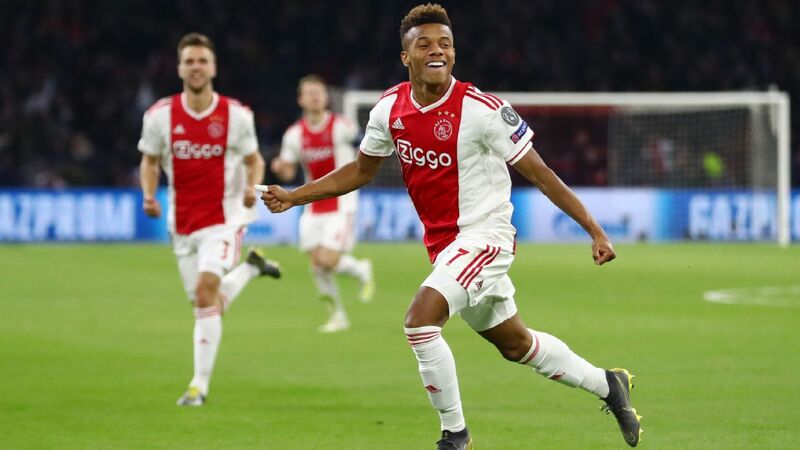 Nkunku's contract expires in the summer of 2020, though, which means a switch to Arsenal will not be off the table completely, as the player is keen on a move to the Emirates. Nkunku's potential departure from PSG could be decided by whether they are successful with a second offer for Everton midfielder Idrissa Gueye. French radio station RMC reports that a second bid in excess of £30 million has been submitted, with Yahoo! Sport France claiming that the Premier League side have accepted. 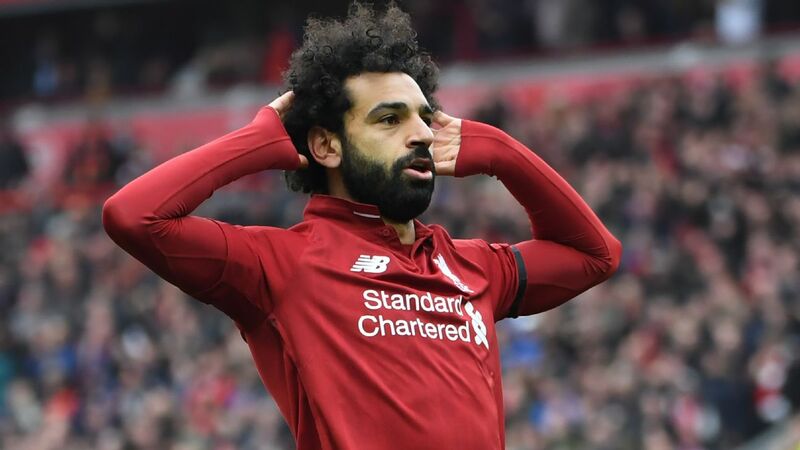 It comes after the two clubs and the player's representatives met in a Liverpool hotel on Tuesday, if the website Paris United is to be believed. While in the U.K., Sky Sports has reported that Arsenal and Manchester City are interested in signing the Senegal international, who has told the Toffees that he wants to leave the club. Newcastle United are set to break their 14-year-old transfer record by signing Atlanta United star Almiron. The 24-year-old is in England waiting to undergo a medical and finalise personal terms on a move believed to be worth around £20 million, which would surpass the £16 million Newcastle United paid Real Madrid for Michael Owen in 2005. 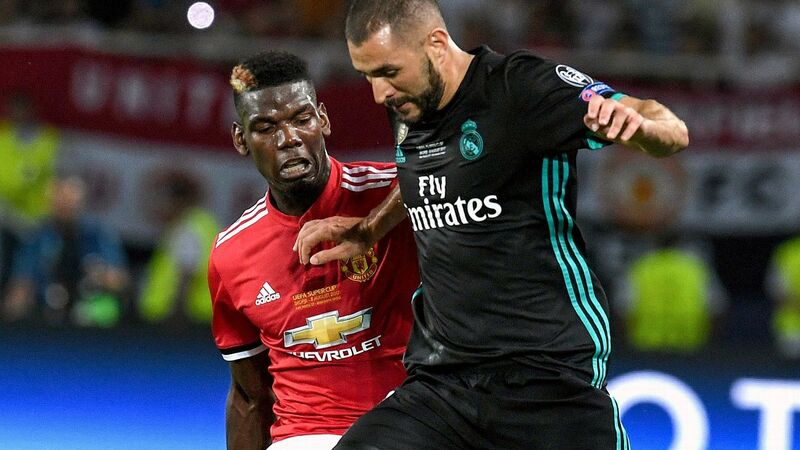 The giant midfielder is out of favour at Manchester United and has been told that he is allowed to leave, with Chinese Super League club Shandong Luneng reportedly willing to pay the 31-year-old an eye-watering £365,000-a-week contract, which is more than three times his current deal. The Spurs striker is deemed surplus to requirements at the North London club, and Real Betis have made an approach. Tottenham are keen to recoup as much of the £18.6 million they paid for the striker in 2016 as possible, with a £15 million offer for the 24-year-old likely to be enough. This seems unlikely to happen, as Everton have rejected the approach from the outset, but it's too intriguing not to include in case the Serie A side come back in. Milan submitted an enquiry for the 21-year-old winger, who has been a long-standing target for RB Leipzig as well after impressing on loan there last season. 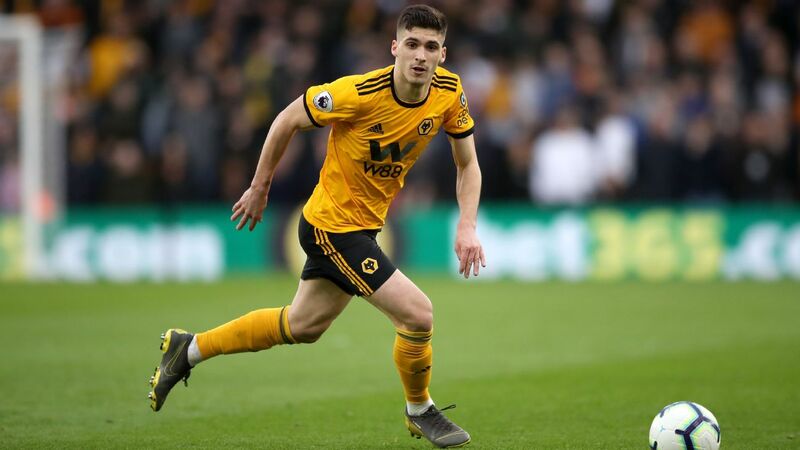 He can't have a Whispers score because he is already at the club on loan, but Wolves are set to make Jonny's switch permanent with a club-record fee. The 24-year-old has impressed since he joined on loan from Atletico, who he had just signed for from Celta Vigo. Now Wolves are ready to part with £18 million to sign the Spaniard for good.